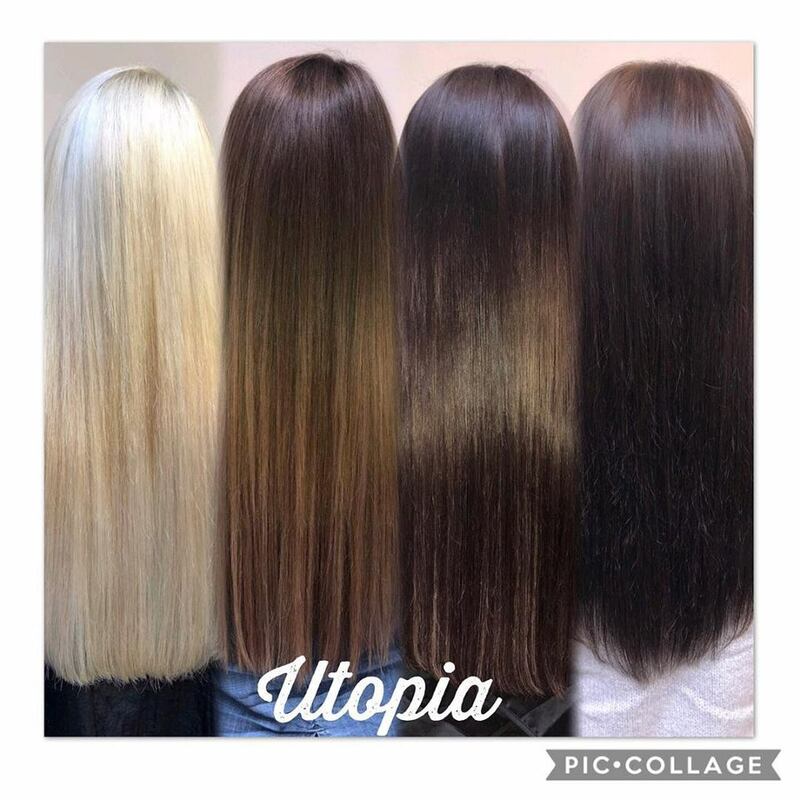 *Nano rings are suitable for people with fine hair and micro rings are suitable for all hair types. 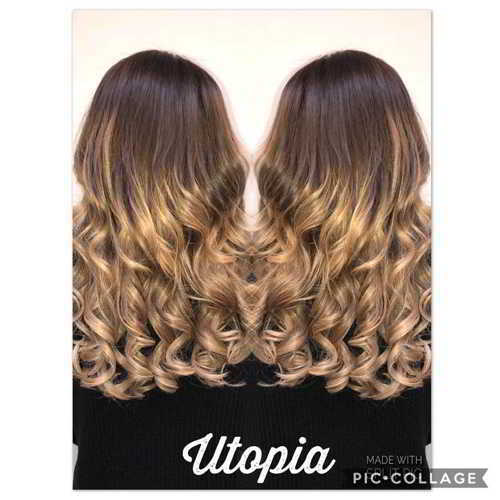 Maintenance is advised every 6-8 weeks. 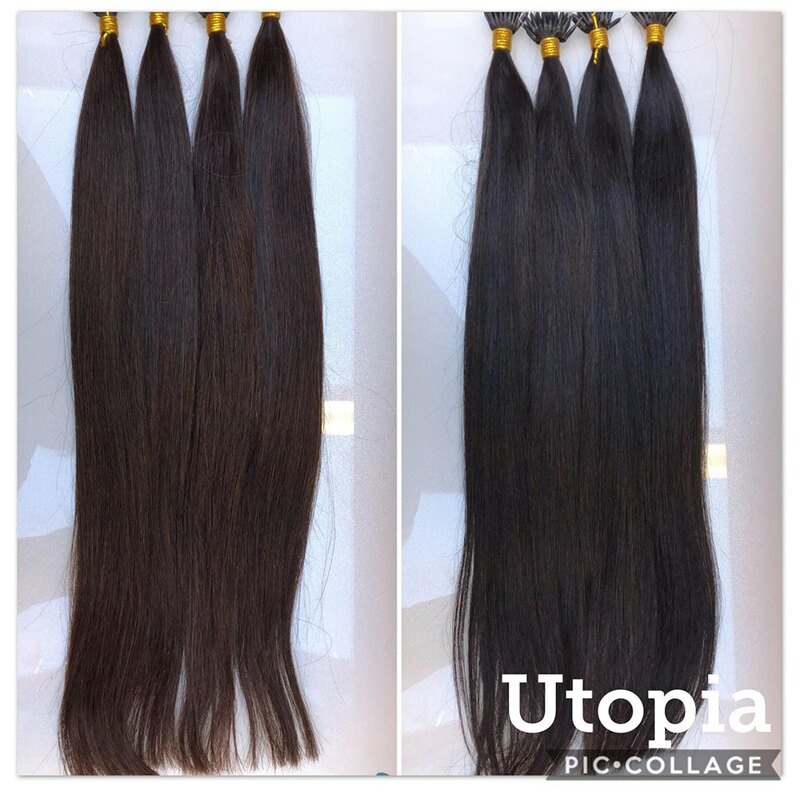 *Our luxury weft/nano/micro hair is double drawn Remy hair, with a lifespan of 6months+ (if looked after correctly). 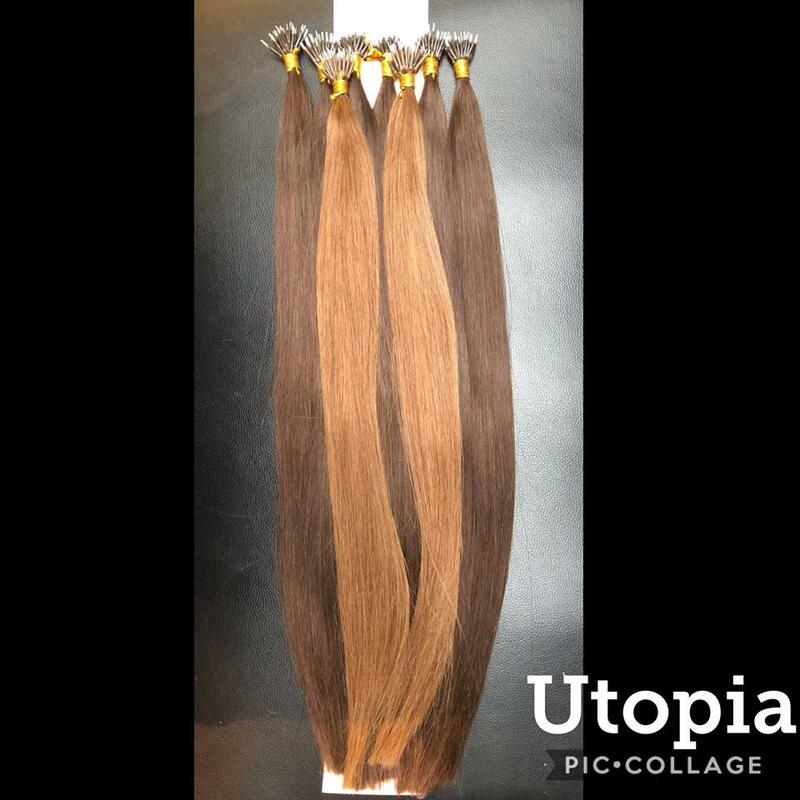 We make sure that this hair is not over processed to ensure the cuticle of the hair to lay correct, this is because it is sourced and selected from the finest Indian hair. 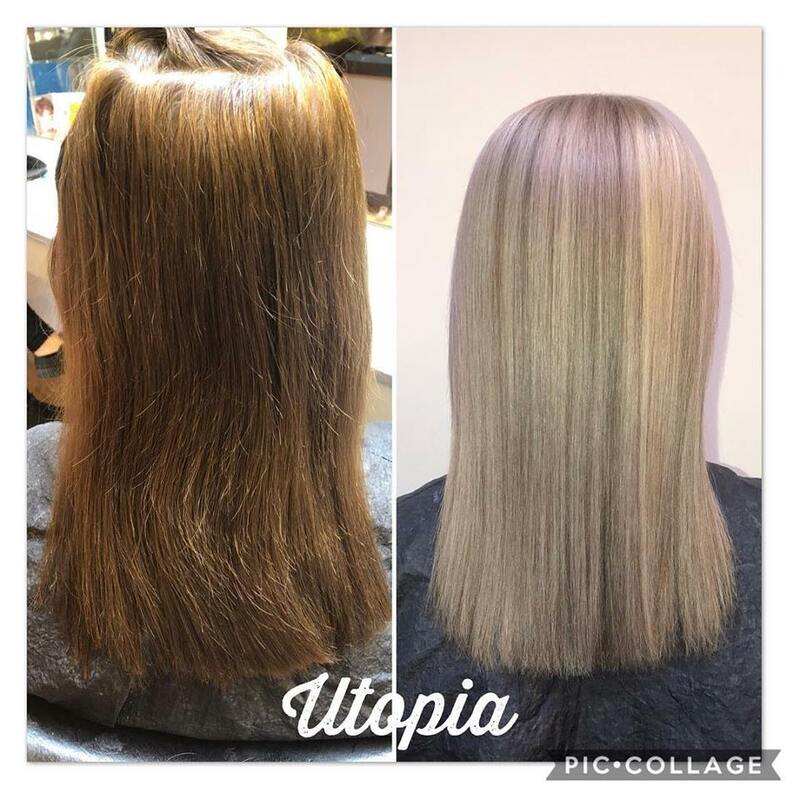 Hair is weaved and then placed into a foil, the colour is then painted on to the hair and then it is foiled up so that the hair is entirely encased in an envelope of foil. 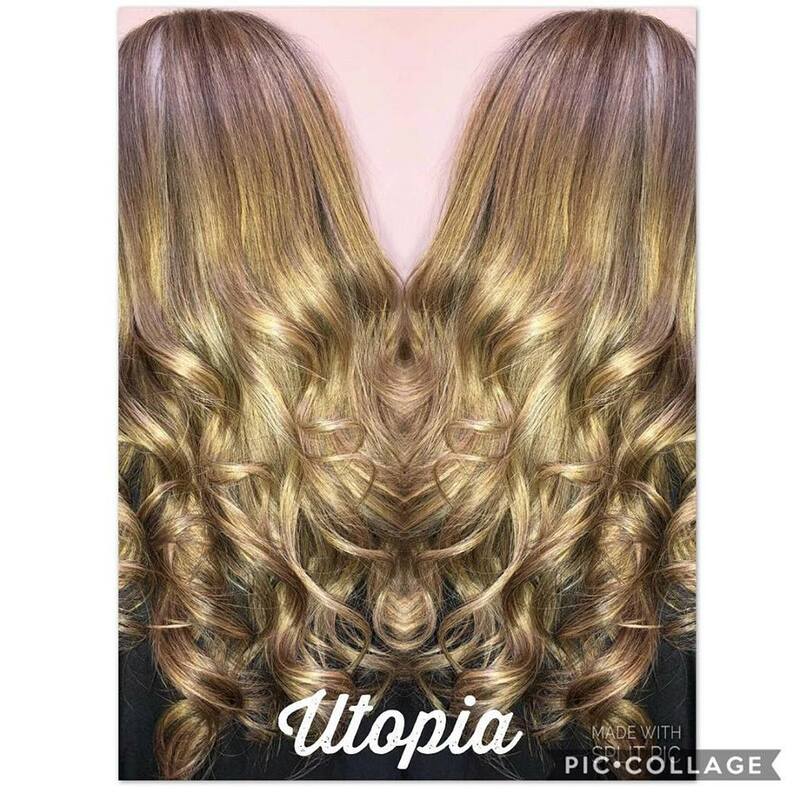 The desired look can be achieved by a full head, half head, t-section or scattered foils. 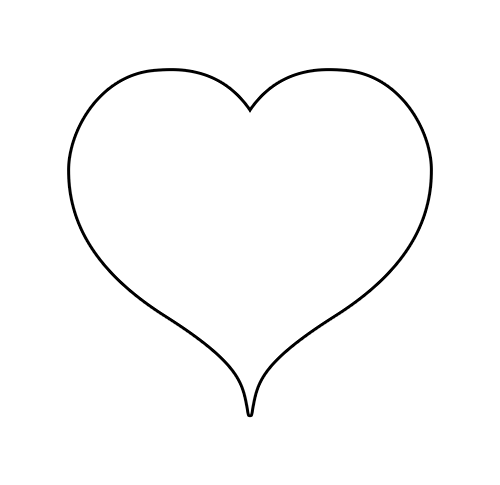 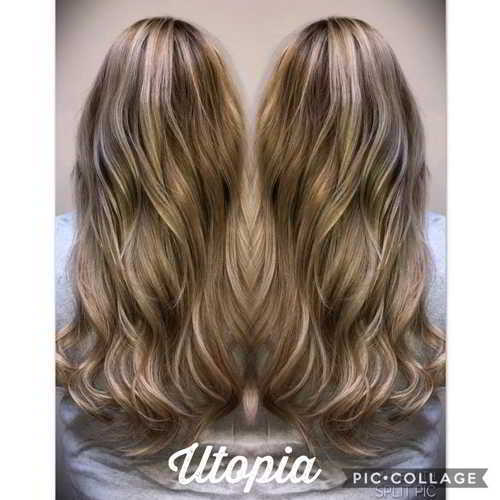 *This method of extensions is suited to all hair types. 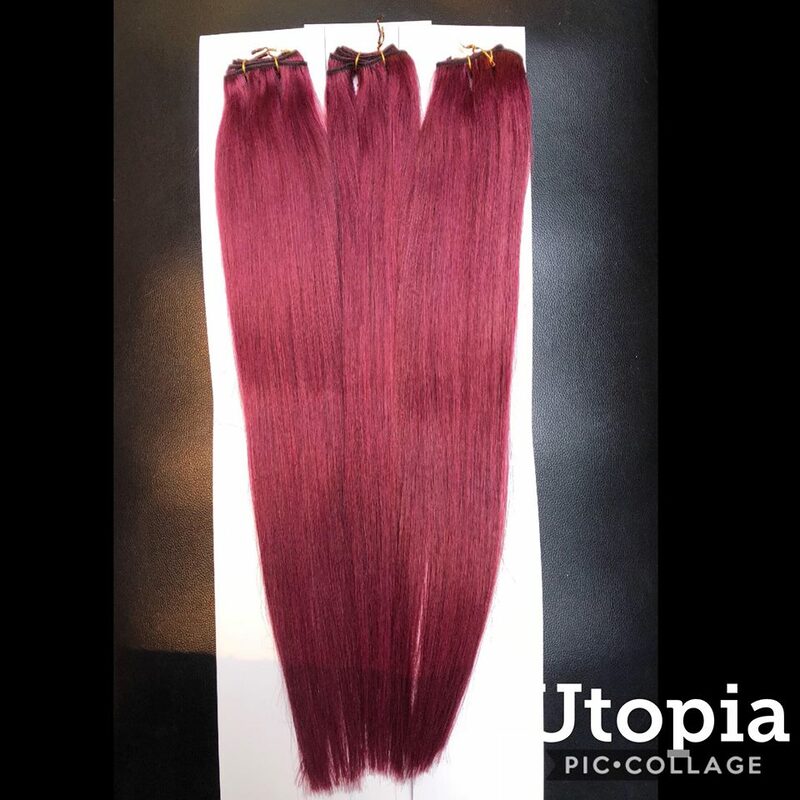 The extensions are applied by braiding sections of your own hair, which the wefted hair extensions are then sewn onto the braids. 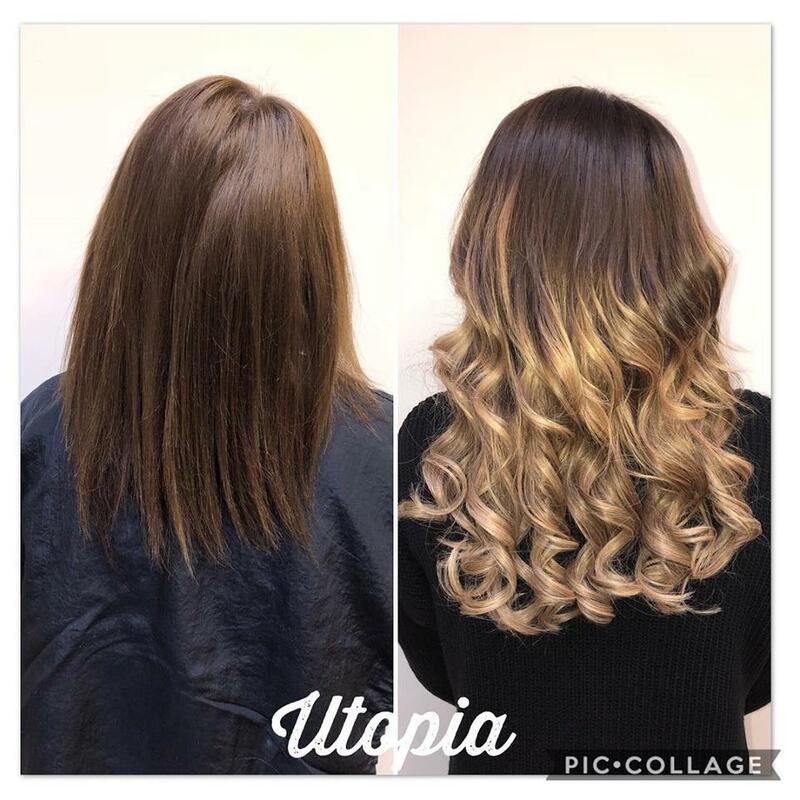 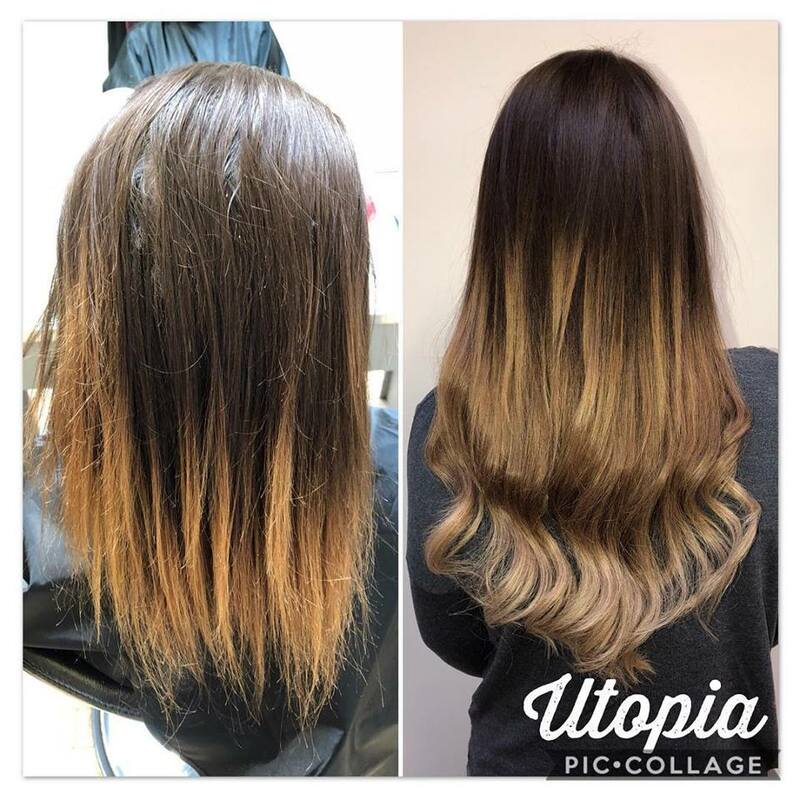 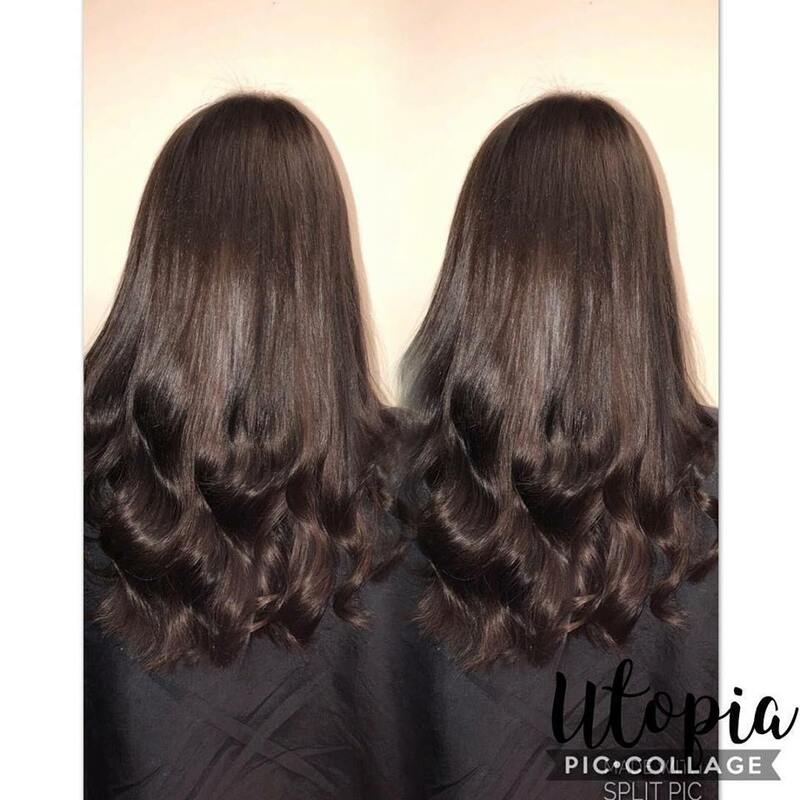 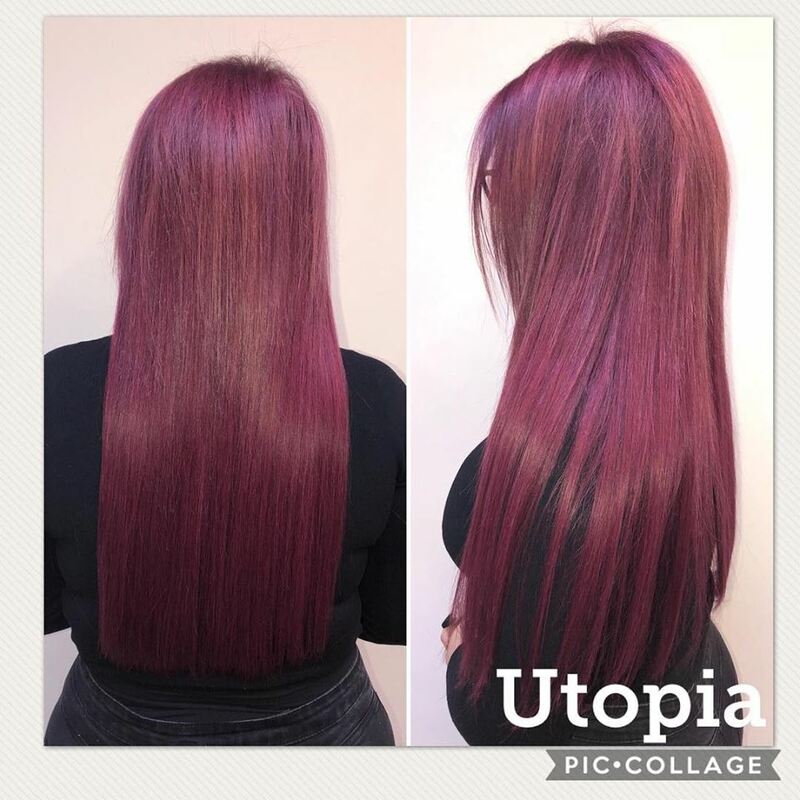 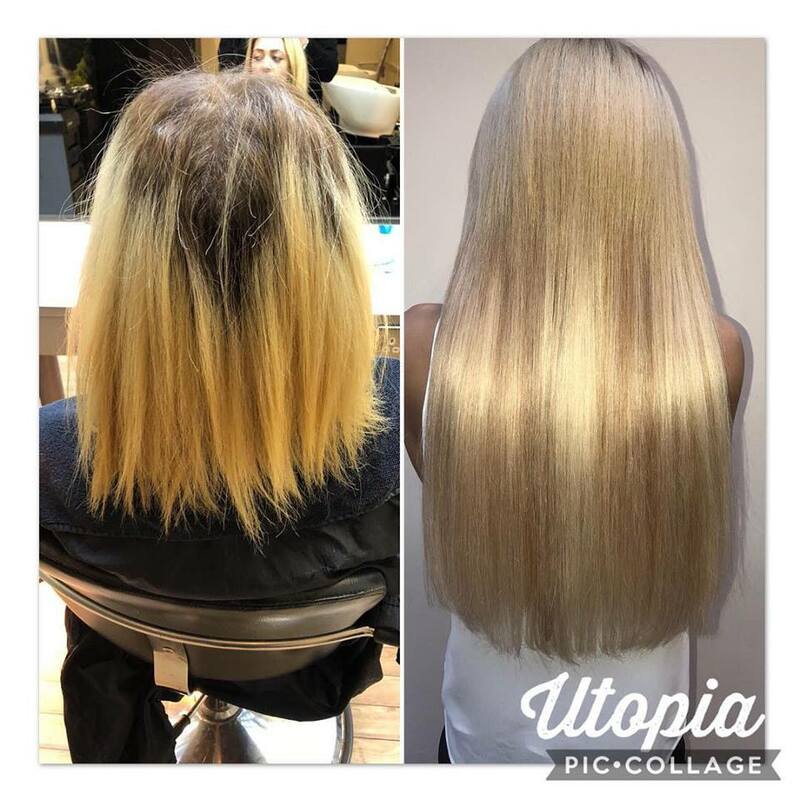 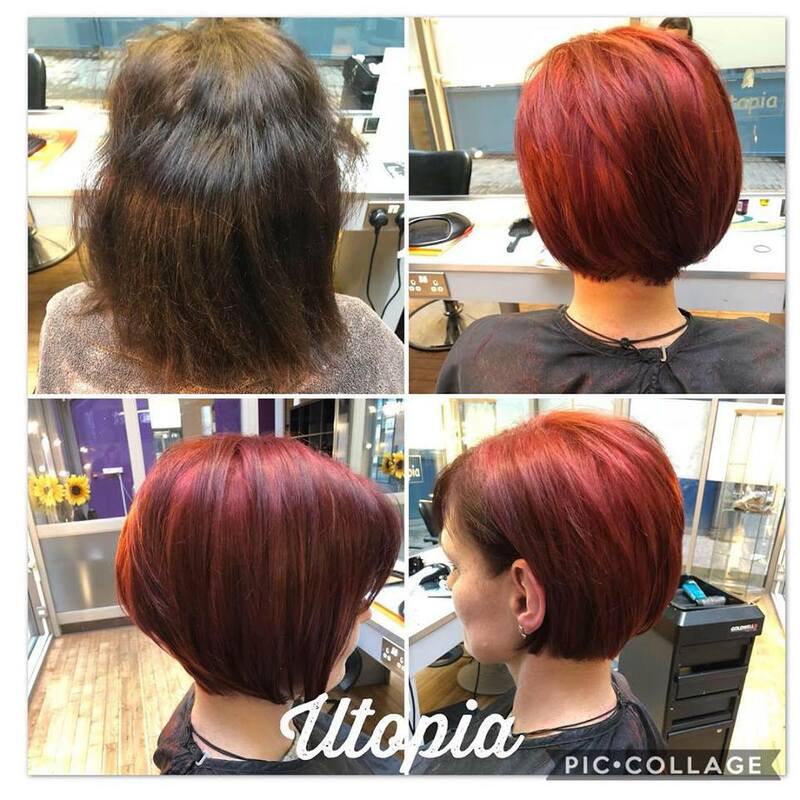 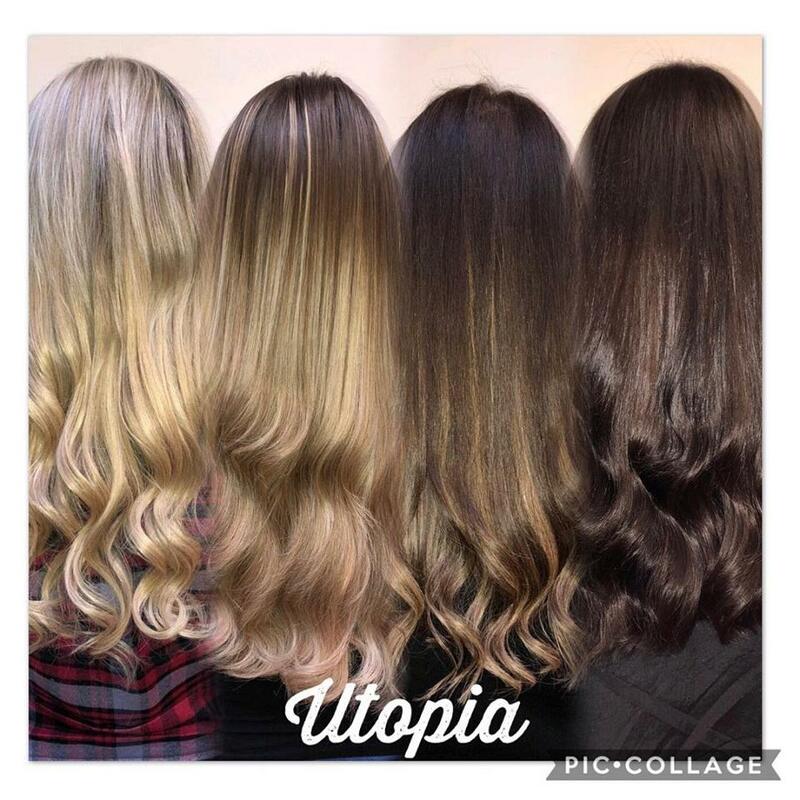 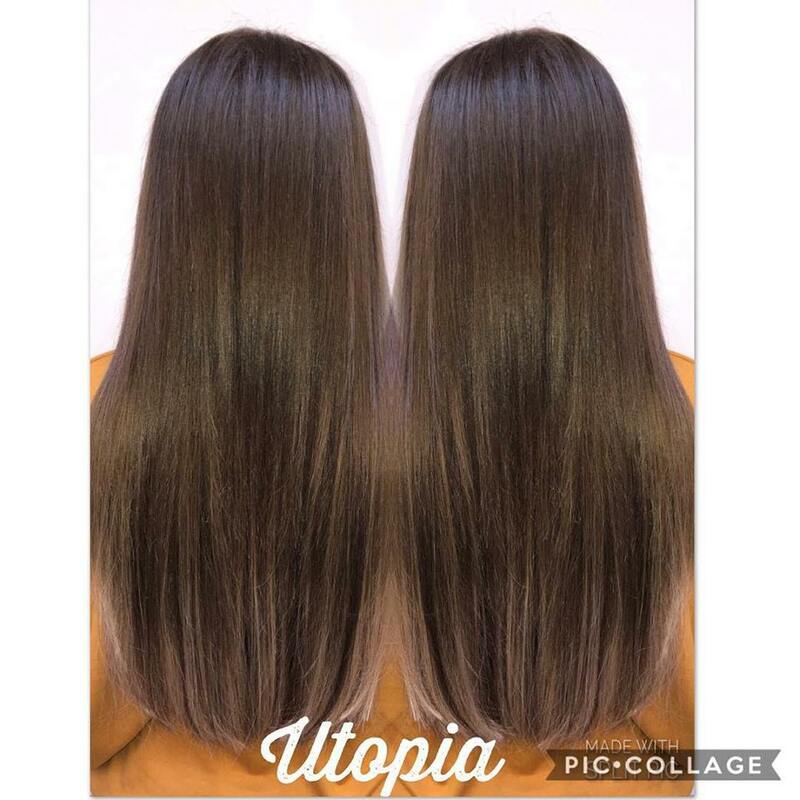 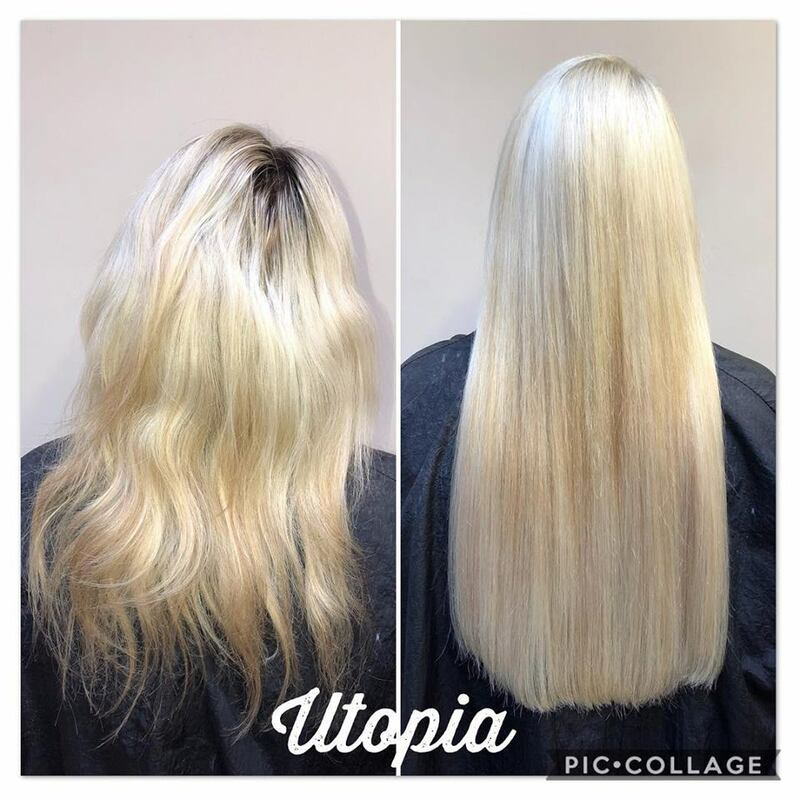 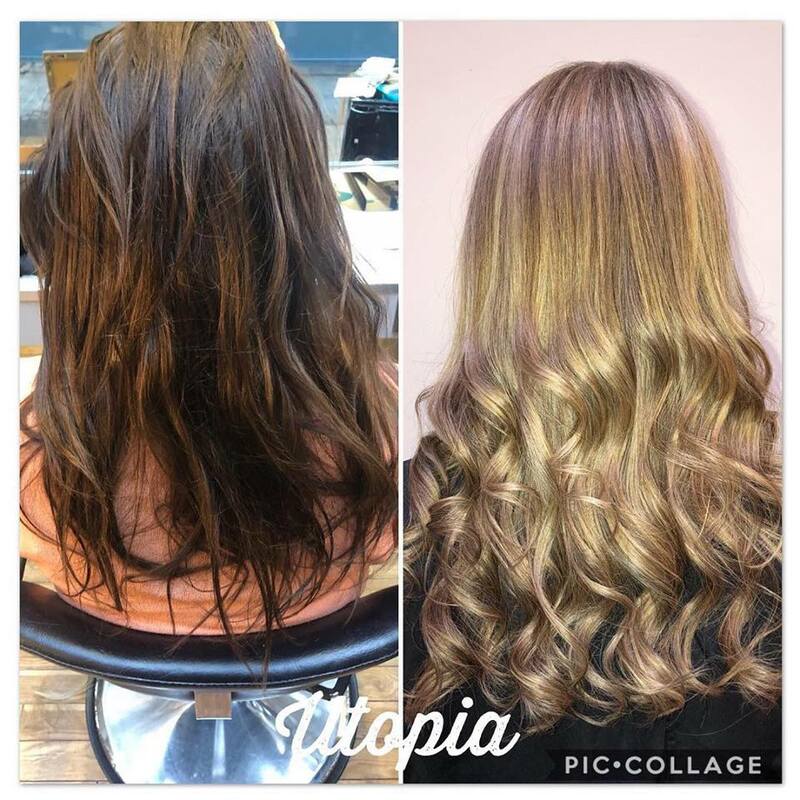 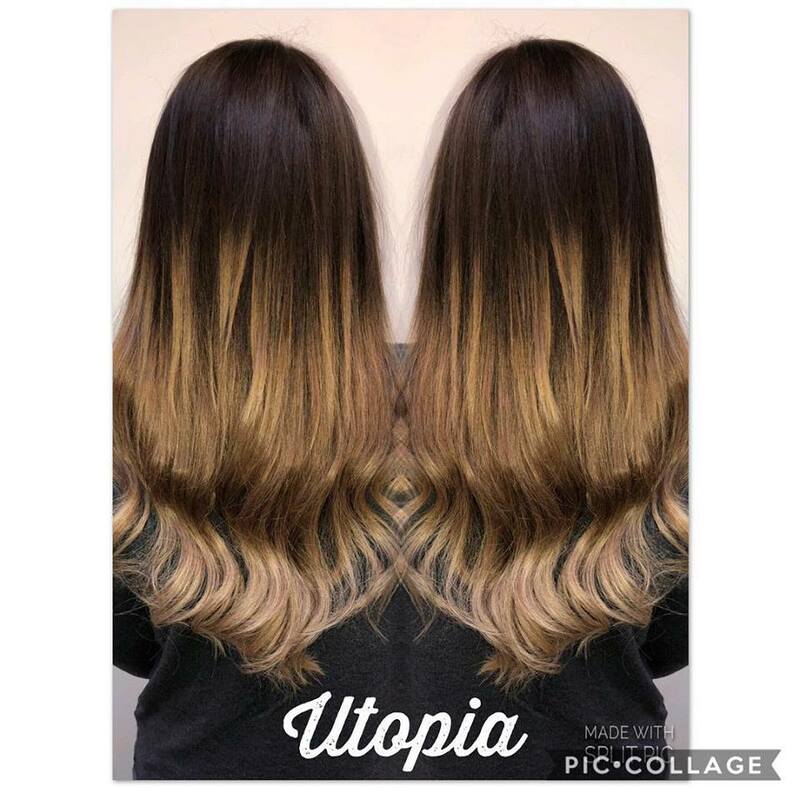 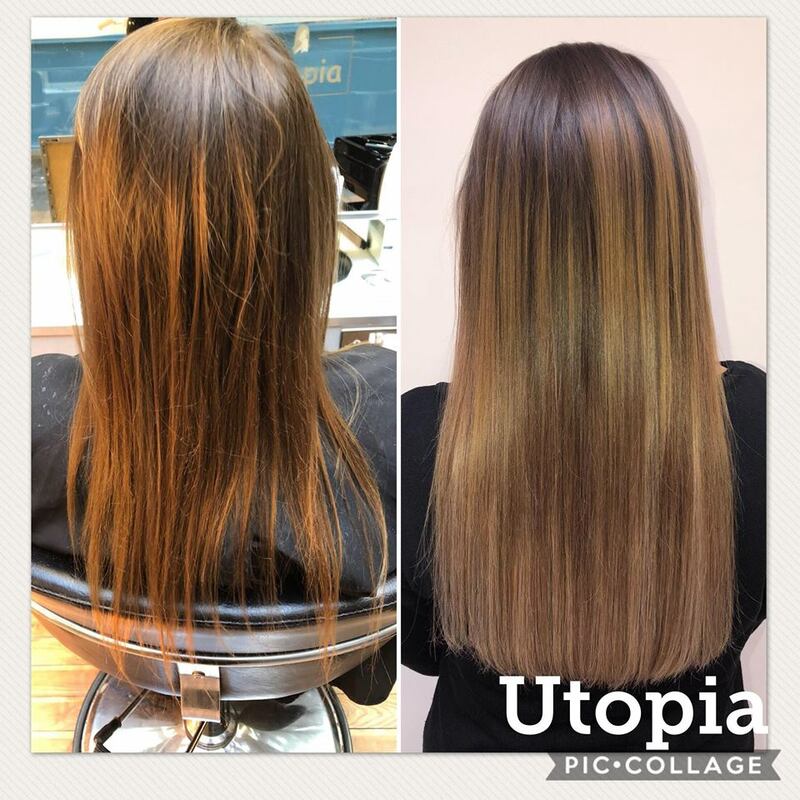 We offer the best services for hair extensions in maidstone, check out our services page or read more about us to find out what makes Utopia the number one choice in Maidstone.